At Le Tandy, we thrive on beauty, perfection and precision. Pride and passion is derived from a quality, beautiful and unique product. Le Tandy wrist watches are catered to suit the demands and requirements of a wide range of clientele. We understand that tastes may vary and moods may change, so we have created a selection of themed catalogues of watches with you, our prized customer, in mind. We understand that a persons aesthetic appearance is an indication of their lifestyle and status. Le Tandy provides you with a change from dreary metallic base colours to vibrant, colourful, gem encrusted, artistic themed wrist watches that add character and substance to the otherwise mundane days. Each individual dial face will feature an artwork that tells a story of its own, all these and more are featured as crafted works of art at the heart of each design. The joy, love and care that go into each of our collections are reflected through the quality of our product. Quality components and Swiss watch making techniques all contribute towards creating an accurate and reliable precision work of art. The merging of skills into a single entity with a common aim results in some of the most fascinating and breathtaking collections Le Tandy has released to date, and it is our greatest pleasure to present them to you. At Le Tandy we would like to offer you the chance to let the world know a little something more about you through our original, well crafted wrist watches. What better way to make a statement than with a Le Tandy wrist watch. 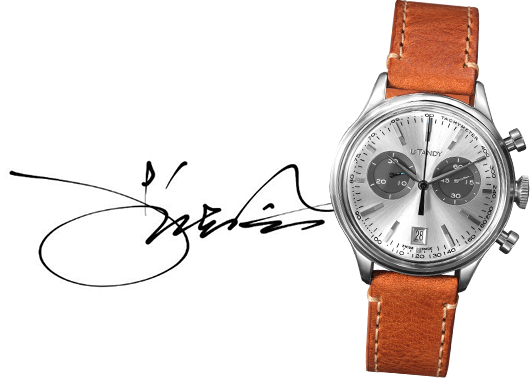 Commitment to craftsmanship and artistic vision are essential elements of Le Tandy wrist watches. To give an impressive and fascinating feeling; joy, love and care are meticulously put into each fiber of the design. Finest ensemble of brilliant natural gemstones is to carry out through the playfulness and beauty of case shape. The harmonious integration between ergonomic cases and gems dials is the balance of contemporary lifestyle and luxury. It is then aesthetics are transformed into art. Le Tandy is very proud to introduce to you our new exquisite collection of precision timepieces. You will be able to be part of a unique and beautiful experience that only given by Le Tandy. 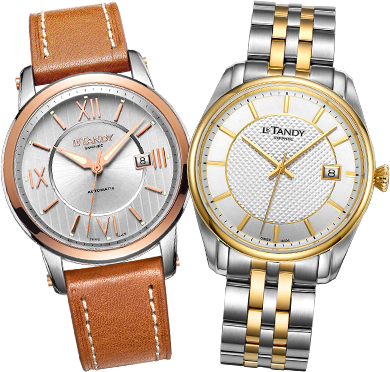 Each Le Tandy timepiece is a shining example of our commitment to craftsmanship and artistic vision. We travel the globe to carefully select fine gemstones to place in the faces of our watches. These rare stones enhance the beauty of each unique piece and add a splash of playfulness. We take extra care in each step of the process to ensure that our gems are perfectly cut and precisely set to retain their gleaming elegance. Le Tandy is passionate about producing a piece that is distinct and of the highest standards. The added time and effort our artisan craftsmen take to produce each individual piece shows in the excellence of the final product. Each watch is created as a piece of art that is a testament to what we believe in and what you aspire to as an individual. Ergonomically designed, our watches are crafted to place less pressure on your wrist and allow for a comfortable fit. Light weight, smooth and soft on your skin. You will not even notice you are wearing a Le Tandy timepiece until you glance down, check the time, and eye an exquisite work of art. The values that we believe in are the values that we share. They are the essence of Le Tandy and the essence of you. Time, in an art form is what we present to you. A Le Tandy timepiece is the perfect complement to you.